Our mobile sandblasting units allow us to service clients in any corner of Victoria. Based out of our Melbourne headquarters, we provide soda blasting, sandblasting, dustless blasting and glass bead blasting solutions for clients ranging from homeowners renovating or restoring an old car, through to stock trailers, mining and heavy industrial equipment, and marine vessels. Alternatively, we can establish an on-site, contained working area for grit blasting, with full environmental control and recycling systems to capture the materials used. Having portable mobile sandblasting units allows us to use ProStrip’s soda blasting technique on hard to reach work sites and in Melbourne locations with confined access. It also means if your restoration project is not mobile, we can come to you and complete the job on-site. 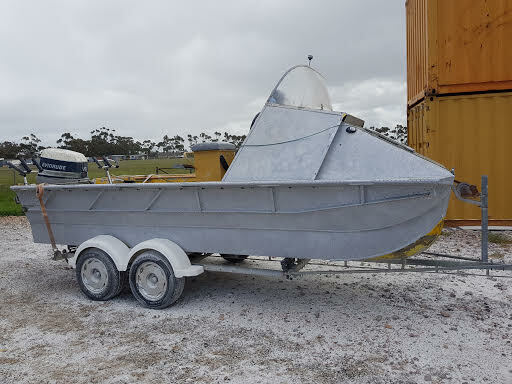 You can drop parts, full vehicles, or even your boat into our headquarters just 10 minutes from Melbourne airport where we have a full automotive abrasive sandblasting setup. Our team has over a decade of experience restoring auto and marine parts, classic and collector cars, engines, and panels back to a mint condition ready for final coats and final restoration. We can also strip back sensitive wooden furniture and concrete surfaces that require fine concrete finishes but won’t stand up to the rigours of traditional abrasive blasting techniques. It’s often not practical to get your industrial or agricultural equipment into our Melbourne base to restore gear back to a working condition. ProStrip Sandblasting delivers the abrasive blasting to your site and our mobile and onsite blasting services in Melbourne allow us to finish the job wherever you are located. This can save days of your time and thousands of dollars in transportation costs. Make the most of Prostrip’s mobile & on-site blasting services. Give our team a call today & ask for a no obligation quote.